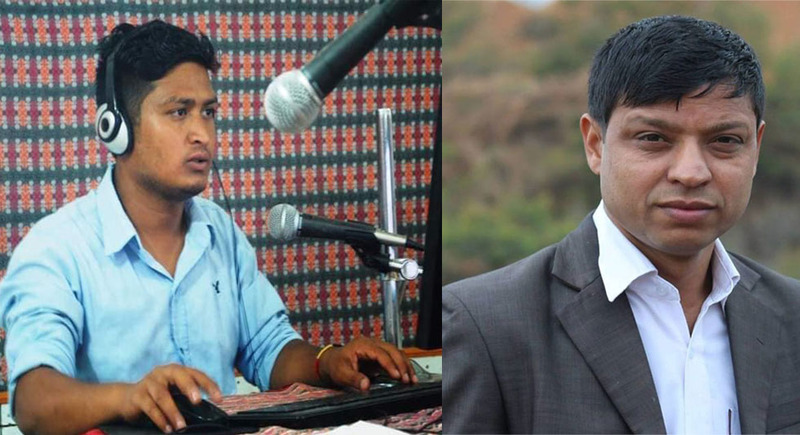 Journalists duo Rajesh Aryal and Bijay Kumar Baudel were attacked by locals in Tansen Municipality, Palpa on March 29, 2019. Palpa is the hilly district situated in Province 5. Journalists Aryal and Baudel are station manager and reporter at community radio Madan Pokhara respectively. Freedom Forum's representative for Province 5 Sudeep Gautam reported that the journalists were attacked by locals for broadcasting news on the municipality's decision to extend the road from Holangdi to Dhungakhani in Tansen. The locals, who were protesting against the proposed extension project outside the Municipality office, not only attacked journalists but also threatened those to death. Following the incident, Nepal Police has arrested Baburam Bista, Laxman Regmi and Sailendra Bhattarai for their alleged involvement in the attack. Attack upon journalists merely because of reporting is condemnable. Nepal's constitution itself, guarantees journalists right to free reporting on the issues of public concern and public should also cooperate them to ensure free flow of information. Had they any objection over the news content, they would have chosen legitimate way. Hence, FF strongly urges the concerned authority to address the issue seriously and citizens to be aware of rights of free press and journalists.